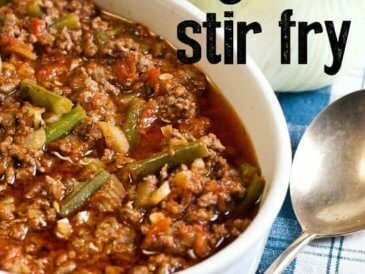 It’s no secret that I love to make stir frys for dinner. 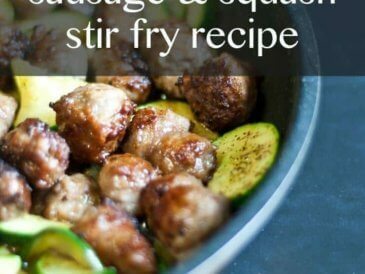 A meal that is fast and easy, healthy, and only uses one pan checks all my boxes. Like most of my other stir fry recipes, such as my go-to beef and cabbage stir fry, this spicy shrimp stir fry recipe was born on a night when I had 20 minutes to get dinner ready, nothing in the fridge, a bag of frozen shrimp in the freezer, and an abundance of fresh squash and peppers in the garden. Frequently, stir frys are served over rice or rice noodles. While we do eat white rice occasionally, I prefer to make my noodles from vegetables with a spiral slicer. 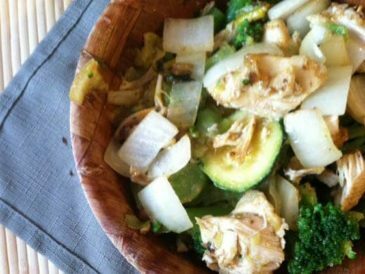 This stir fry is great as is, but if you think it needs noodles, I suggest leaving the zucchini out of the stir fry and turning them into zoodles (zucchini noodles) instead. It’s always a win when a thrown together meal turns out and in fact becomes a favorite family recipe. My family enjoyed it, and it took under half an hour from start to finish! It’s absolutely one we’ll be making again. 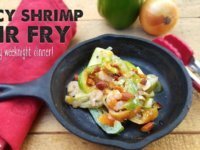 A simple stir fry made with shrimp, summer squash, peppers, onions, spices, and optional cream cheese sauce is a fast meal idea. Thinly slice the peppers and onions. 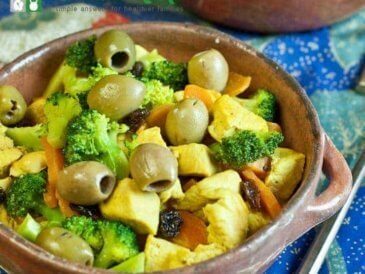 Melt olive oil, coconut oil, or butter in a skillet or wok on medium-high heat. Toss in the onions and peppers and saute. While the onions and peppers are cooking, peel the squash and cut down the middle lengthwise. Cut the squash into long strips and then into ½ inch pieces. Add them to the skillet or wok. Saute for 10 minutes or until almost cooked. 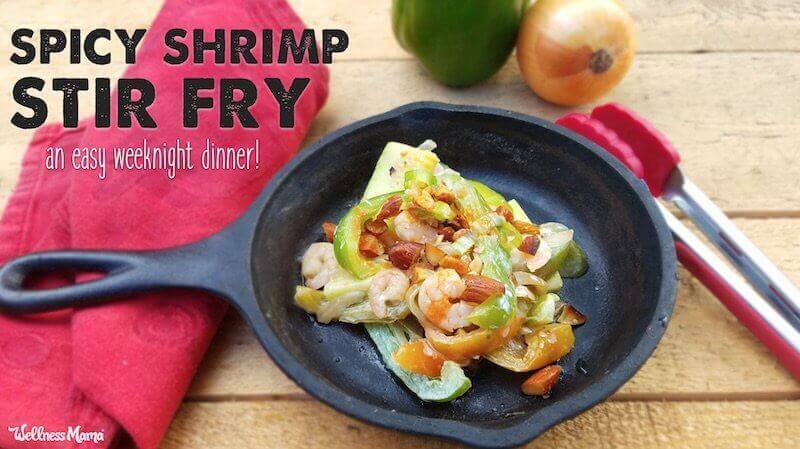 Throw in the defrosted, precooked shrimp. Continue cooking until the shrimp are heated. Add the cream cheese if using and stir well to melt. You can use raw shrimp, but it may be a little extra work -- they will need to be peeled, cleaned, and the tails removed. 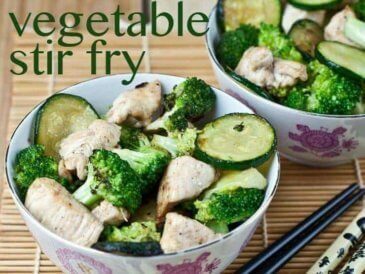 What’s your favorite stir fry recipe? Share below!